Master Andrew Tan is my second teacher in Chinese Metaphysics subjects. I have completed almost all he has to offer till date. Master Tan is grounded and I appreciate his candid sharing in life and subjects beyond what he teaches. His wealth of experience includes not only in the subjects he is teaching but the industry of Chinese Metaphysics. I especially like Master Tan's forthcoming in sharing the various advantages and limitations of each subject and not exaggerating or overselling them. I respect his professional ethics and commitment to lifelong learning in Chinese Metaphysics. I will share my reflections on the subjects I have learned from Master Tan. The style that is offered here, quickly enables you to decipher the favorable and challenging elements. This helps a lot in checking past major life experiences accurately that in turn aids forecasting of coming trend. The style offers here is not the commonly known technique in the market. Focuses on the study of Qi comprising of observing the forms, measuring the compass and calculating using the theory. I find both Module 3 and 4 to be the gem in this style of Feng Shui. This is not the commonly known style but an eye-opening one passed down from renowned Master Liang Ruo Yu. 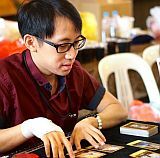 The careful study of the 18 stars can be daunting especially for new learners and Master Tan is ever patience in guiding you through step by step. A good skill for a practitioner to pick up, especially the Face Reading, that can be good tool to help you quickly size up the people around you. A well known divination technique used for prediction. As compared to other seemingly more complicated Chinese divination techniques, Mei Hua Divination is easier to plot the chart for deciphering the reading. I am thankful for Master Tan's patience in teaching this subject. This is a complicated technique and many due considerations are needed when performing a reading. You are one of the few exceptional Master Trainer in Metaphysics that display truthfulness and integrity in what you deliver and teach your students. I am very glad to have such a person like yourself as I felt that you have broaden and remodel my perception of Metaphysics to a higher dimension. Your dedication and sincere knowledge transfer to student is of the highest degree and this would place many other commercial Master to shame. I would not hestitate to recomend my friends or even strangers to attend your courses as it is very value for money. Anyone who has the desire to learn Metaphysic need go anywhere further to search as this is a one stop shopping for all your needs. I would like to express my gratitude for being one of your students. You have gone above and beyond your responsibilities to take your time answer our Feng Shui and Bazi questions . Your patient and kindness in doing so also helping me gain more confidence and improve myself to use my knowledge to helping more people. I shall always remain grateful for all the things I have learnt from you. Once again, I would like to express my sincerest thanks for your teaching and guidance . I had attended most of Master Tan courses and it really open up my mind. These course not only allow me to gain additional knowledge in Chinese metaphysics in a detail well explained manner, students like us also be able to had some of our problem resolve during lesson. Every lesson is a fruitful trip , taught by a very knowledgeable and humble Master who is willing to extend help to his student even beyond lesson. Well Organised lecture make it easier for student to understand the lesson and get the hang of it fast. Not to mentioned the case studies prepare by him to Ensure student had sufficient practise. A very much knowledgable individual in the industry, well mannered and humble unlike other fengshui master you'll meet elsewhere. The selflessness in imparting his skills were commendable, ensuring no students left behind during his classes. Materials were well prepared, emphasizing moral issues were a key factor for all compliments giving the circumstances/social norm practises the practitioners are doing now. For people interested or intenting to pursue further in this field, look for Master Andrew Tan! I would like to sincerely thank you for sharing your knowledge and experiences so willingly without hesitation in your Feng Shui lessons. I started my Feng Shui learning journey under your guidance since February 2016, I enjoyed attending every lesson and I gained a great deal of knowledge into the subject. I was always keen to understand Feng Shui. However, to me Feng Shui was a mysterious and well protected subject which made it very difficult for a layman like myself to get started. With Feng Shui, there was no-one to approach like you would with a Math problem. I tried to read up on the subject from available books and found that those books were either superficial or difficult to understand. The more I read those Feng Shui books, the more perplexed I became. To make matter worse, I now realised that some of the Feng Shui articles out there were mixed with superstitious practices which probably misled people into the wrong conception of what Feng Shui really is about. Pursuing my Feng Shui interest with SOCM under the guidance of Master Tan was a right move in many ways for me. Not only did I achieve deeper appreciation and understanding in the subject within a comfortable timeframe, I've also learned about applying practical Feng Shui practices in our modern living environment instead of blindly following textbook theories. Master Tan is a kind and very good teacher well versed in the field of Chinese Metaphysics. 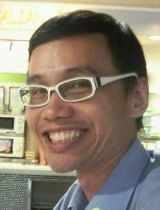 As a teacher, Master Tan tried his best to assist all students with their queries without fail. I would strongly recommend that SOCM is the place to start with for anyone with a keen interest in Chinese Metaphysics. More importantly, you would undoubtedly enjoy your learning journey under the guidance of an experienced and approachable Master. class make an usually dry subject like Feng Shui more interesting to learn. During Master Tan's classes, he never fail to emphasize the importance of doing good deeds to improve one's destiny. I agree with him totally on this point. After attending his Bazi class, I used the knowledge I picked up to see the Bazi of some of my friends. It turned out that the analysis were correct. I was completely thrilled. I feel so glad that I make the right decision to learn from Master Andrew Tan. I would recommend Master Andrew Tan to anyone who has interests to learn Chinese Metaphysics. Two thumbs up for Master Tan ! Thank you Master for your patience in guiding me. I look forward to learn more from you. It is really a pleasure and honor to learn from you. Currently, I have completed Bazi, Feng Shui and Face Reading but I am sure to carry on learning and apply for more courses conducted by you. Your teaching method is systematic, enjoyable and easy to understand. You incorporated ethics in your teachings which I feel is extremely important in the metaphysics field. I can really see your passion when you are teaching and I am very proud to be one of your students. I would like to extend my thank you to Master Andrew Tan for his teaching and guidance. I started learning Fengshui from Master Andrew in 2012, and before that I did learn from other teacher as well. However, the methods taught by Master Tan is easy to apply, and effective. I tried it for a few cases, it works! Beside Fengshui, I learned Bazi, Face Reading and Qi Men from Master Tan, with his patient guidance and logical explanation; it makes the reading easier to understand. Now, I am more confident and able to read bazi faster. 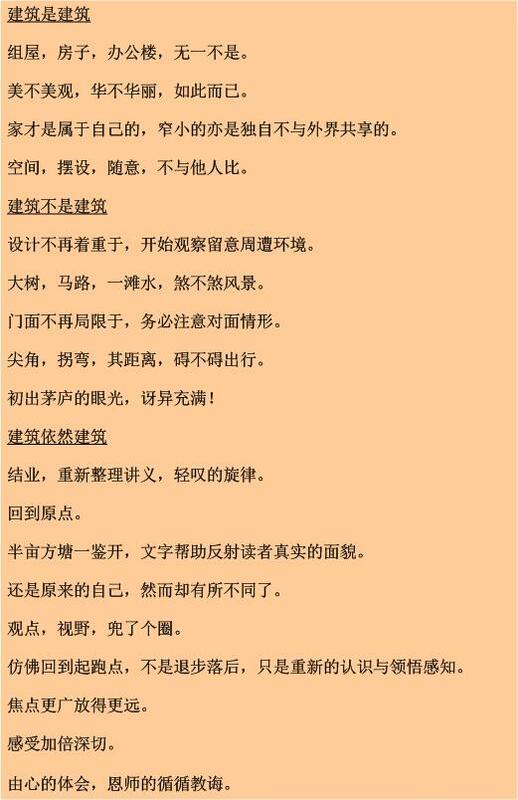 In addition to the main topics I had learnt in class, most important Master Tan introduced Le Fan and Di Zi Gui, which affect my personal view of life. Thank you Master Tan. I start to realize my passion in Feng Shui when I attended the Basic Feng Shui course in Sept 2011 at SOCM. I was lucky to learn Feng Shui with Master Andrew Tan as he teaches what he practises and willing to share more knowledge in Feng Shui aspects. The Feng Shui case study is very good for student as we can practice what that is taught during the course and apply in real case study. Master Andrew Tan will explain in details and how to improve the Feng Shui of the house. I really benefit a lot from the case study. I'm grateful for the Feng Shui knowledge that Master Andrew Tan shared with us. I am looking forwards for new course in near future. It was a great pleasure to learn Feng Shui from you. The courses are well organised with many techniques for modern day Feng Shui application. Master Andrew is very sincere and experienced in teaching Feng Shui. He teaches a comprehensive set of Feng Shui Theories which is very useful and practical. I felt that learning Feng Shui from Master Andrew is much more effective than learning it from books and TV programs. I truly appreciate the effort he took to coach and ensure that we understand those Feng Shui theories and be able to use it beneficially. I have a long interest to know more in depth for Chinese metaphysics knowledge, and see what is my bazi will be. I found this Master Andrew website and wants to give it a try since he provide night classes which suit the working class people. His class is interesting and have many case studies for us to absorb and understand which I enjoyed every week. In addition, he has a good knowledge and experience to teach, share and guide his students, most importantly, he's a cheerful person and willingly to help. Since small I have been keen in the Chinese Metaphysics knowledge. Ever that time, I will save some of my pocket money to buy all kind of Feng Shui and Divination books to read. The only problems that I always face is I can't read Chinese, end up I have to buy English version to read. I was recall, during that time Feng Shui knowledge has it limit in publish and a lot of the look so secret. So I have no choice but to wait for long time to publish new book then I can learn more. Not until year 2011, I finally come out and work. One day, I was coincidence search on internet to find new book to buy and I was found the Wan Li Bookstore. Then I free out my time and go there visit, the shop owner ask me during when I was browsing around, are you interest in learning Feng Shui? I quickly replied "YES". He gives a leaflet where there is a picture of the Master Andrew and he continued, "He is a nice master and if you want to learn it, fast go try it". Hardly erase this in my memory. After take his Basic Feng Shui course and I thinking it almost the same things at market teach, upon finish whole course till Master level, I found it TOTALLY different view and methods in market. Then I sign up for the Bazi course and others as well. I realize all things I learn from Master Andrew are totally different from others. No just course things but the truth and knowledge of the life. Well, when people ask me where you learn Feng Shui, I am so proud to say I learn from Master Andrew. There plenty of words hardly express in writing so I will only say: Thank you master, you have guided me through all knowledge. Really appreciate for sharing your knowledge and helping. Since year 2006, I always wanted to master the skill of Bazi but in vain! First, I bought a Basic Bazi book thinking that I should be able to master it after the reading. However, after completing the whole book, I discovered that I do not know how to determine a persons Bazi category. Thereafter, I attended a Basic Bazi Course taught by a well-known master. After completing the course, I realized that the method taught is very vague, I still do not have the confident to decide a persons Bazi category. This makes me unconfident, frustrated and phobia in Bazi. Till 2011, I met Master Andrew Tan. Knowing that he teaches Bazi, I told him that I have phobia in Bazi. He then advised me that his method is different. After hesitating, I only took up his Basic Bazi Course almost at the end of year 2011. After completing his Basic Bazi Course, I am convinced that his method is logical and easy to understand. 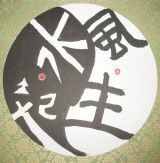 Now 2012, I already completed ALL his level of Bazi Courses and are confident to analyse Bazi for people. I would like to seize this opportunity to thank Master Andrew Tan for his teaching and advise, who makes be a better person today! After learning from him, I get to know my own destiny and the solution. Hence, knowing Master Andrew Tan and learned Bazi from him is a turning point in my life. I strongly believe that Master Andrew Tan is a good teacher and a great Master too. I would not hesitate to highly recommend him and ALL his courses of SOCM to anyone. Last but not least, I sincerely wish him all the best in his future endeavours. The purpose of writing-in is to say Thank You for your teaching effort. Your teaching skill have been simple and clear, I am now very clear of the why and how over the topic of Feng Shui and Bazi. You reap what you sow, plant watermelon sure will produce watermelon. J wish you all the best. I am now eagerly waiting for the next Master level intake in July. Will see you again by then. I've completed both Master Levels of Bazi and Fengshui with Master Andrew, and I must say it was definitely worth it! I'm a firm believer that things in Life and in the Universe happen for a reason and not by coincidences, and I'm very happy to have learnt from him, instead of the other Masters out there. Andrew is not the typical Feng Shui and Bazi Master, but one who is down to earth, and believes genuinely in doing good deeds for people. His teachings are not about how to squeeze as much money from clients as possible, but in giving genuine value. Unfortunately, the Feng Shui and Bazi industry often gives a bad impression to non-believers, due to practitioners in the industry who are only out for money or out of pure superstition. 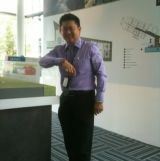 Here's wishing Master Andrew Tan all the best in 2012 and beyond! I have finally gone through and reorganise your instructions on Feng Shui, Bazi, Face Reading, Plum Divination and Qi Men Dun Jia and feel strongly that there will be no justification without a note to Thank You. I truly believe that you pass on and share all that you know as can be seen from the lesson notes that you hand out. Your effort, passion and sincerity are much appreciated. Your instructions and notes on Feng Shui from Basic to the Master Level enable me to appreciate the power and effective use of Feng Shui in our daily living. I am now more conscious and aware of my surroundings and environment and the impact it may have on my health and thinking. Your step-by-step theoretical approach and focus on Bazi applications give a comprehensive reading of ones fate, destiny and luck. I become more accepting of my friends, family and even myself. Like the term you often use "see open, see broken", it is really that way, for me now. The Plum Divination has been a delight and fun to work with especially for a beginner in divination. And for Face Reading, I have been having so much fun in reading faces especially on the MRT and public transports. In addition, I find it helpful in assessing the people that I interact with and be guarded if I need to. Although the Qi Men Dun Jia is in its pioneering stage, I do appreciate the amount of effort you put in translation and the immense information and data you gave to us, your students. These have given me a greater appreciation of everything that is Chinese Metaphysics. All your notes are a great Manuel and a Gem itself. Truly, anyone who commits your notes to memory and application will become a confident and proficient metaphysics master. Last but not least, your quirky way of teaching makes it fun to be in class. It was truly a turning point of my life when I started to attend the very first basic class some time back. Back then I was down and upset working as a property agent because I thought to be living in a top property agent dream. But that very night, your words were like a shiny beacon in a troubled seas. "You should be working". At first I was puzzled and angry, but when I attended more of your classes and went deeper into the rabbit hole. I realised and understand that my Bazi was better off working. Fast forward now, I quit my job as an agent, and I am now working back in my ex-company again. Happy and feel more useful. I used to think that if you are positive enough you could work your way out of troubled waters but sadly that is not enough. To achieve better in life. You really need to give yourself a honest and objective SWOT report so that you could move forward. Bazi is one of the most time tested tool. Use this wonderful tool to understand yourself more, work within you limits and take the path of least resistance. Like Master has said one in the class, our purpose in lives is to be happy. We can only be happy if we know and understand ourselves more. I am truly grateful and happy that I have met and learn under you Master. Thank you for everything. 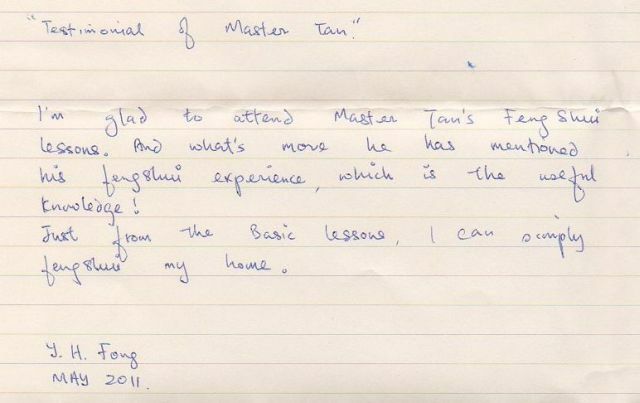 Master Tan, a testimonial for SOCM. Regards. I attended Master Andrew Tans Feng Shui (up to Master Consultant level), Bazi (up to Master Analysis level) and Plum Blossom Divination classes, and am still craving for more (the upcoming Mian Xiang Application). The courses are ideal for those who wish to know more about Chinese Metaphysics as a science and they enlighten your thoughts to use them for a good cause and to help others. I have learnt formulas that are not included in books and Master Tans teaching is wonderful and very easy to understand. His wisdom, experience, personal charisma and inspirational guidance have been well worth the investment of energy to attend his classes. His practical approach in teaching with the use of many relevant examples enable me to embrace what is being taught more easily. What is more commendable is his passion to share his love for Chinese Metaphysics, and his desire to develop more Chinese Metaphysics practitioners without holding back any of his knowledge. If you want to find out more about Chinese Metaphysics, I would highly recommend attending courses at the School of Chinese Metaphysics. Before knowing Master Andrew Tan, I knew nothing about the world of Feng Shui. I have always thought that Feng Shui is something related to religious or superstitious practices. However, through Master Andrew Tans wonderful teaching, I came to understand that Feng Shui is actually a form of science - a truth often neglected by many others. Learning from Master Andrew Tan has helped me to gain immense knowledge in the world of Feng Shui. Master Andrew Tans classes are both very practical and straight to the point and thus I was able to apply immediately of what I have learnt in both Feng Shui and Bazi classes in real life cases. If in any doubt, he will always explain things again to ensure full understanding. In addition, Master Andrew Tan preaches a lot on doing good deeds and doing things with a clear conscience. I can now help people around me to improve their quality of life by reading their Bazi and doing a Feng Shui audit for their houses. If you are keen to learn Feng Shui, do not hesitate to learn from Master Andrew Tan. I am sure that he will shed new lights in your path to learning Feng Shui. I am very thankful to Master Tan after attending his courses in Fengshui, Bazi, and Plum Blossom Divination. Especially for Fengshui, the explanation of 'Qi' or the flow of energy, is very much in line with Aerodynamics based on my engineering background. Furthermore, Andrew had carefully examined the various branches of Fengshui theory from ancient Chinese literature and several masters, with much effort in years of actual case studies and verification, to consolidate into a series of proven practical skills. This work could easily take us another 10~20 years if we really do it ourselves in addition to have strong background of Chinese language. The accuracy of Bazi Astrology, has also inspired me to pursue his courses until master level. You have to discover yourself to appreciate how accurate the Bazi analysis can tell about our fate! The passion of sharing these ancient Chinese wisdom has made Master Tan to be one of the Platinum Award winners in Singapore Successful Entrepreneur 2011. Congratulations! Before you class, I never attended any class but was reading books and materials from the internet. However the more I read the more I need to figure out the confusion and arguements on various methods. After a short conversation during a lunchbreak with Master. I really admired his in-depth of knowledge and his courage to only use tested and practical methods to overcome abnormalities of other school's methods. Practical, sweet and sharp. No fanciful stuff. I am looking forward for more in his upcoming course this August. I have always relied on books for fengshui guidance but was never truly enlightened until I attended Master Andrew Tan's Basic & Intermediate Fengshui classes. He has helped us see through what are myths and what good fengshui practices should be. He taught us several fengshui theories that we can apply depending on the circumstance and not be restricted to one school of fengshui theory. Master Tan has been generous with sharing his expertise and experiences. I look forward to more learning from Master Tan in the Advance Fengshui class and am glad to say I have benefited alot from these classes. Master Andrew Tan is a knowledgeable teacher and a great mentor. Besides classroom lessons, he will not hesitate to share his numerous life experiences and encounters, giving us an opportunity to see the practical aspect of what he teaches. He also emphasize on the importance of life philosophy and the ethical practice of Chinese metaphysics. I would like to sincerely thank Master Andrew Tan for the generous sharing of his incredible knowledge, skills and researches which I have benefited from it. Thanks a lot! I am delighted with the i-ching and bazi courses conducted by Andrew, School of Chinese Metaphysics. Andrew is a dedicated master and his passion in teaching and sharing his knowledge in chinese metaphysics is displayed during his classes. He is able to explain concepts well, making it simple, and to guide students towards resources that will help them understand more. Andrew also provide the opportunity for students to clarify and ask questions. He make a point to come into the class 1.5hrs earlier so that in the event, students need private and supportive help, he is around. Andrew also make a point to reply to students email and sms for clarifications on lessons learnt. Andrew is a remarkable teacher and master. I would like to take this opportunity to thank Andrew for all his help and guidance in chinese metaphysics. I am looking forward to attend the fengshui course with Andrew in July. Learning bazi has opened my horizon and indeed learning to see open helps. In the past, it was frustrating to find no explanation to unfavorable happenings and why only good things happen to other people but ourselves. We know that things happen for a reason but we are always keen to find the reason why. Learning bazi helps. And you have taught us the importance to manage it and this really gives real meaning to learning bazi. Not forgetting you have also taught that it is important to be tactful and sensitive in our words when we analyzed for other people. I agree with you as it is human nature i.e. prefer to hear the good things. Master Andrew Tan is a great teacher as he generously shares knowledge with his students and also teaches us how to improve our lives. He is a sincere and good-hearted teacher and I have learnt a lot from him in terms of metaphysics knowledge and improving our character. I am grateful for that. His lessons are very enjoyable and definitely value for money. It is my honour to learn from you, Master Tan. Thank you very much! Master Andrew Tan is a great teacher of fengshui metaphysics as he is organised and intelligent enough to structure his knowledge in a systematic way of learning for his students. I am sure most people are confused by the many school of thoughts and practice of various fengshui masters, but Master Tan is well-versed enough to differentiate what works and doesn't work and is able to explain in a way which humorous and easy to understand. I enjoyed his classes very much and is now able to fengshui my own apartment with confidence. As Master Tan's teachings are not based on religious beliefs and he is not promoting sale of any fengshui ornamanets, I would recommend anyone who is interested in metaphysics studies to take up his courses. Master Andrew Tan, a great teacher; learning the art of Feng Shui was not exactly easy, but you made it understandable and straight forward, and I enjoyed especially all your true stories about successful application of Feng Shui with your many happy clients. We were gifted to have the opportunity to receive your tremendous knowledge. Thank you for sharing generously your knowledge and secrets and, certainly for me, you have awakened a keen interest to practice and learn more. Before attending Master Tan's class on Fengshui, I have a vague idea on this subject. I got confused by the many schools of thought and practices written in books and articles. However after attending Master Tan's class which includes practical lessons, the concept became so much clearer and I am able to apply them confidently. We are most grateful to him for sharing with us with his vast knowledge and experience. His sincerity in teaching and guiding us can be felt and we enjoyed his lessons very much. Dear Master Tan, I would like to express my heartfelt thanks to you. Your continuous guidance and coaching allow us to learn and improve feng shui knowledge significantly. You are very generous too, you didn't follow the old tradition of keeping some skills but imparted all your knowledge to us. I'm honored to be one of your many students. Thank you very much. Dear Andrew, happy birthday.... Taking this opportunity to thank you for being such a great and wonderful teacher and master and your teaching and perception of life has been a great influence to my outlook of life." either too general or too complicated without explaining how things were derived. Worse still, some learnings conflict with others and I ended up being more confused than before as to which learning was right. I ended up guessing and wondering and was not the least confident to do my own feng shui or bazi and had to engage professional feng shui masters for advice and pay for every consultation in the end. I have since attended many Feng Shui seminars and almost took up a Feng Shui course from a well known trainer in Malaysia. But the course fees was way too high for me to afford as I have intention to advance to the master course eventually. I came to know about Master Andrew this year through a friend who has attended his Feng shui course and was highly recommended. I took up Master Andrew's basic Bazi and also basic Feng Shui course this year. I am now in the intermediate Feng Shui class and I can assure that this was the best investment I've done as I am not one who will easily be convinced to spend money on seminars and courses without a good cause or proven results. Although Master Andrew does not conduct his courses in beautiful hotels or expensive premises with nice settings, and possibly that explains for his low course fees that is affordable by the general public and novice learner like myself. However, his low course fees is certainly not compromising the knowledge that you gain from his teachings. All the courses that I have attended so far were very enlightening yet lively with lots of laughter and the class group was fun and friendly! I made several friends along the way too. The course pace and material was also relevant and easy to understand with many examples and case studies. Any questions were answered in clear and simple examples. I have finally had my guess work put into perspective and everything started to make sense. In just a few hours of the course, I learnt more than the books I've read all these years and seminars I have previously attended previously. And after attending Master Andrew's basic Feng Shui and Bazi course, I am already confident with my new found knowledge to see my own home feng shui and that of my close family and friends. So, naturally I have tried to put all of my learning into immediate action and I have experienced positive results with the changes made. I was amazed how my life and my family have improved, both personally and professionally. Not only I had a wonderful time learning and built a solid foundation and acquire the knowledge that will enable to practise and help myself and others in future, Master Andrew's learnings are practical and he does not follow commericalised practice to buy expensive feng shui ornaments or turning one's house into a temple instead. I also appreciate that Master Andrew spends time before class, during breaks and even after class to attend to our individual queries and problems. I would like to take this opportunity to sincerely thank Master Andrew for sharing his incredible knowledge and skills. Thank you, Master Andrew! I was deeply impressed with your humbleness, kind heartedness, integrity and emphasising the need to be responsible with the Chinese Metaphysics knowledge yet not being obsessed or superstitious. The passion and energy that you have and the "unselfish" will to impart and share your knowledge is indeed respectable. Of all the Feng Shui masters and teachers I have met, you are the best I have ever encountered. Not only are your courses enlightening and your advice practical and effective, what amazed me about you is your humbleness with a very kind heart and your jovial character. You are truly a very good master and teacher, Master Andrew! I will certainly continue to learn under Master Andrew and I would highly recommend his courses to anyone interested in learning Chinese Metaphysics from knowledgeable and respectable teacher like him. Thank you once again, Master Andrew and Best Wishes to all! What he is unconvinced, he will not teach. It is this simple substance that makes a difference between believing and practical applications. Andrew's fengshui approach is practical and easy to apply. At each course level, from basic to master, you take away something with you. With the knowledge gained, I have the confidence to carry out a professional Fengshui house audit. Master Andrew is a rare gem in Metaphysics - open, broadminded, good hearted and humorous. I had attended the structured training programs on Bazi and fengshui, conducted by Master Andrew Tan since Feb 2009. Master Andrew Tan is very knowledgeable and is always keen to share the art and science of Chinese Metaphysics with his students. With his vast knowledge and experience, he is able and willing to impart his knowledge to his students. I find his teaching very systematic, clear and effective. After learning from Master Andrew Tan, I am now able to conduct fate and luck analysis for my spouse, parent, children, siblings and friends. The fengshui knowledge that I had learned from Master Andrew Tan are very useful and beneficial. I am now able to enhance my wealth and achieve better harmony living with my family. I strongly recommend attending the structured training program conducted by Master Andrew Tan, if you are keen to learn Chinese Metaphysics. Master Andrew conduct his class lively, he know his stuff well and generous in his knowledge, he use a lot of example to help us to understand the topic easily, is a breeze to be in his class. In this dogs eat dog world, it is hard to comeby to know a selfless and delicated master who is willingly to pass down his knowledge to us. Btw after attending Master Andrew classes, my career and finance and family is getting better after doing some fenshui adjustments in my home/office. (Attached herewith is one of my photo taken together with my wife). In brief, with Master Andrew good teachings, I have become a better person and also look at life at a different dimension. Lastly, I salute to Master Andrew for his great works in Feng Shui / Ba Zi teaching and wish him all the best in his health/career/family/wealth......and etc. The fengshui course was great and I definitely enjoyed it very much. The course was very informative and I am very thankful to Master Tan for sharing his immense knowledge and secret formula with us. Master Tan has been very professional and experienced in the field of feng shui. I regard myself very fortunate to have been part of such an aspiring and supportive studying environment. I would have no hesitation in recommending the course offered by Master Tan to my peers and friends. I have few friends whom had attended other fengshui courses elsewhere before, one of them even went to Malaysia to do it. My friends told me before that sometimes they feel that their master do not seems to share every knowledge with them. But you are quite different. I find you are very sincere in sharing and imparting knowledge with us. I find your courses in fengshui useful and practical and I am looking forward to join your advance course next year. I also have keen interests in fate and luck analysis (BaZi). Previously I tried reading books from bookshops but i find it difficult to understand. Sometimes its even confusing. After went thru' 2 Bazi course with you I have a much better understanding about BaZi. I tried using your theory to read my own and few of my friends BaZi and i find that it is relevant and useful. 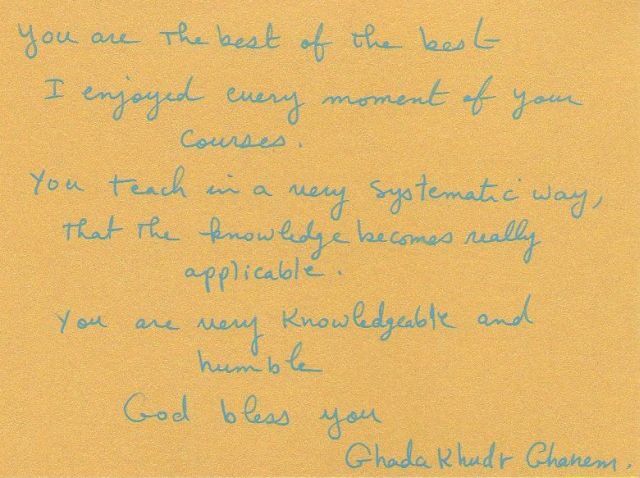 I respect you as my teacher and I appreciate your sincere attitude in sharing and imparting your knowledge with us. Thank you. I have taken up Feng Shui and BaZhi since 2008 from Master Andrew Tan. The Feng Shui knowledge has helped me a great deal in maximizing the peace, harmony, health and wealth of my house and office. The knowledge of Bazhi has given me a deeper understandings to the events in my life and I have ever since use it as a reference to my life and career planning. Master Andrews profound knowledge of the Art and Science of Feng Shui and Bazhi is truly commendable. I thank him for his unselfish, practical and approachable sharing and teaching which I have benefited. I would like to express my sincere thanks to you for being a great and resourceful Feng Shui teacher and master. Your method of instruction is enlightening and attending your Feng Shui Class is an exhilarating experience where theories are put into practical use through many casestudy. I personally had gained a lot through these years of study under your guidance. I believe it is very difficult to meet a good teacher who is willing to share his experience with his student. I have met you , as a respectable Feng Shui Master and I will treasure the relationship and the learning journey. Thanks again. I got to know Master Andrew from my friend who went for his Feng Shui class. She praised him for not trying to promote or sell anything and instead really teach truthfully about Feng Shui. I personally attended his Feng Shui and Ba Zhi classes after that. I also get a complimentary Feng Shui assessment for my 5-rm HDB when I volunteer it as a practical lesson. Master Andrew is a very knowledgable teacher and he keeps his teaching as true to the theory and calculation as possible without promoting any or involve any religion. I admire his way of teaching as it was for the best of human mankind and not to depend any jewellery or ornament. He teaches us to be a good person and also urges us to help others. I will be forever grateful to him and would recommend anyone who is interested to know more about his practise to learn from him. Being a student of Master Andrew Tan was surely fate. Believe it or not, I came cross his News paper ads while doing "business". Master Andrew is a dedicated master, his heart and soul for his student is beyond the sky. He always keep us updated through gathering, emails, sms..etc... even though we have graduated. He has this exclusive for his student which you cannot find it else where. Calculating date and time of birth for new born. If you surf the net, this service cost up to $5000 per child. He does it for free, exclusively for his student only. I am one of the fortunate student. After completing 3 module of the basic Feng Shui course, I have benefited tremendously and improved drastically over the past 3 years. Just can't imagine what's more if I pursue in the advance course. Master Andrew, my heart felt thanks to you. I have attended both Fengshui and Bazi course under Master Tan over the last 2 years. I found the courses are very applicable and useful in daily life. Master Tan make the theory simple to understand and apply. He is also approachable and friendly. You can always consult him if you have questions/issues. Master Andrew Tan really demonstrated his knowledge in Metaphysics in a simple and logical sense during classes. He walked us through fengshui practical lessons to further enhance our skills. From these, we are able to uncover many mysteries in Fengshui and Bazi matters etc. We actually benefitted in understanding human nature and enviromental influences as all of us agreed he imparted this 'ancient science' with all his best and sincerely . Of course we put the knowledge to use in our lives as well. Today , i am a better person and i am glad that Master Andrew and my path has crossed. Thank you , Master Andrew Tan. When I attended your Feng Shui class sometime in 2007, your lessons was no doubt very informative and useful. You had also display high professionalism in all methods of teaching, making the class very interesting and lively, by giving good and lively examples so that all students understood vividly. You were also willing to impart your vast knowledge and skills to us during your class lessons and even after class. It was an unforgettable experience for me. I had gained tremendous in-depth knowledge after attending your classes from elementary to advanced level. Besides the above, you had also invited all class students to take part in various weekends practical Feng Shui lessons in many students/clients houses making it even more exciting as every house tell a story and as every house is different in all aspects. Many students who had attended your practical lessons in one way or another had also expressed their gratitude towards you as they had learned and understood quite a lot from it. It was also an eye opener for all including myself. For this, I sincerely salute "YOU" and would like to express my sincere and heartfelt appreciation and thank you for your tremendous efforts in teaching us and making us a different person. I would not hesitate to recommend anyone who is keen to learn more about Feng Shui from you ! Once again, my sincere appreciation and thank you for all you had done to make us different from the rest !!! - After enhancing the "sheng qi wei" in my house, my mum strike 4D for 2 consecutively weekends. And it happened that the "sheng qi" sector in my house is the SW sector which represents Kun trigram, which means the female owner of the property. - I have an ex-colleague who tried to have baby for 3 years but failed. After I did fengshui audit for him and using his "na yin", he has got a baby boy within a month. I met Master Andrew after I was invited to one of his many interesting talks for the public to create awareness for Feng Shui. As I went for the talk, I discover that Master Andrew is a very sincere people whom possess the passion for helping people through his knowledge of Feng Shui. He is an exceptional Feng Shui Master whose knowledge is immense and his ability to help other is great. The best thing about Master Andrew is that he do not require that you purchase huge price tag items for cures and by doing this he is able to help even the middle and low income families. His passion for helping others and his in depth knowledge and practical methods of practising Feng Shui is what attracted me to eventually learn from him. In his lessons, I learn a lot about myself and my family and how to actually approach various problems and challenging situation. The opportunity given to me for learning Feng Shui from Master Andrew is really great and the benefits reap from his course is something that I can use throughout my life and is applicable whereever I go. Thank you Master Andrew for selflessly imparting the knowledge you acquire to us !!! We have to say that both your flying star and bazi course are remarkable especially for absolute beginners like us who thought that feng shui will be a topic that is difficult to master. You have made the topic easier to understand and master with your comprehensive and well structured course materials as well as practical lessons conducted even after completion of the course. Learning from a selfless educator like you who have a genuine desire for your students to succeed and very willing to share your knowledge is really a wonderful and enjoyable experience. Thank you so much and we really look forward to attending your advanced courses! A BIG THANK YOU for introducing me into the metaphysic of Feng Shui. Your teachings and sharing of your wide scope of experience on Feng Shui with its many landforms and interpretation have detached from the many superstitions, beliefs, religious connection. Despite my limited Mandarin, you have helped me understand and approach Feng Shui as a tool to lead a meaningful, caring, patience, successful, prosperous and healthy life for myself, family, friends and clients. I strongly urged everyone to be objective and learn from the right Master who will impact knowledge, principle and experience. It's a blessing and good fortune to have learn from you. Master Andrew Tan is very knowledgeable and his passion in Chinese Metaphysics research renders him a "Practical" practitioner. With his vast experience, he is able to apply ancient theories into modern living application without using any artifacts or ornaments. Master Tan teaching as true to the theory and analysis is possible without promoting any or involve any religion. He is always reminds his student to do good and help others." Copyright, School of Chinese Metaphysics, 2005-2011, All right reserved.